YouTube has so many things to offer teachers but often teachers veer away from it for fear of the comments that appear under videos or through or worries about inappropriate content. Truth is though, ask any child how they’ve taught themselves something, chances are they’ll come back and say YouTube. With more than 300 hours of video content being added to YouTube every minute, I’d much rather guide the content through my own channel than leave the searching to chance. 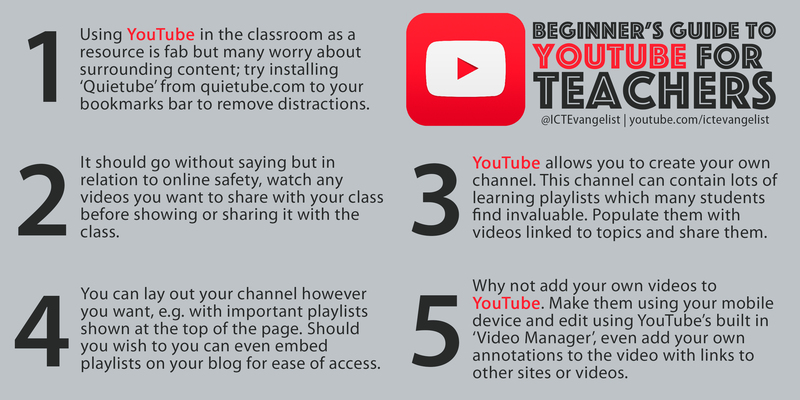 With that in mind; check out this beginner’s guide to YouTube for Teachers. I hope you find it useful! 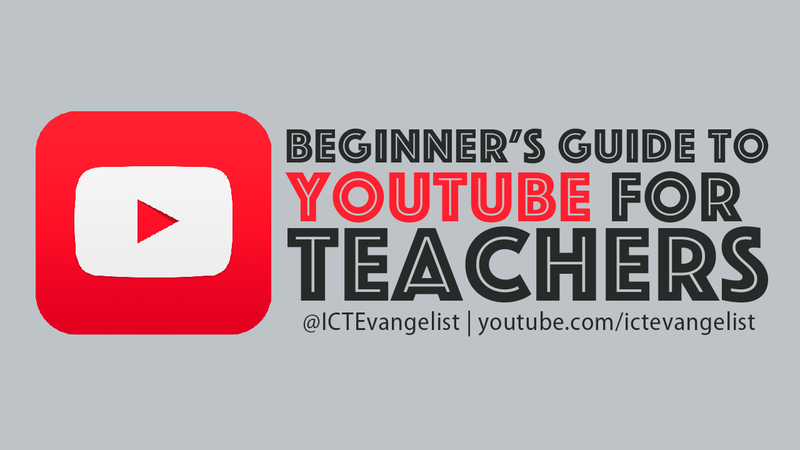 For some great examples of videos on YouTube, why not check my post on videos for inspiration here or alternatively I have my own YouTube channel with lots of screencasts on how to use different Apps and ICT tools at youtube.com/ictevangelist. If there’s something you think I’m missing anything with the crib sheet, feedback is always welcome. Please let me know in the comments.